Last summer, we reported that It's Always Sunny in Philadelphia creator Rob McElhenny had signed on to make his feature directorial debut with the long-awaited Minecraft movie. We haven't had any updates about this adaptation ever since, but today Vu Bui, COO of Mojang that publishes the popular game, revealed a release date has now been set. Here's what Vu Bui had to say in his statement, announcing May 24, 2019 as the date we'll see the long-anticipated movie in theaters. "Hello future Minecraft movie-goers! I know you've been thinking just about every day, 'When's the Minecraft movie coming out?' Luckily for you, we can finally say! The Minecraft movie will be released on May 24, 2019! The film will also be released in 3D & IMAX. Yes, that might seem like a long time away, but it just so happens to be the right amount of time to make it completely awesome. And we all want an awesome Minecraft movie, right? That's it for now, but as time goes on we'll share loads more. Loads!" It isn't known if Mojang and Warner Bros. have started assembling a voice cast for this video game adaptation, but it seems the project is finally back on the right track. It isn't known who is writing the script at this time, or what the story may revolve around. Since there isn't an actual story narrative that unfolds within the game, we'll have to wait and see what approach Rob McElhenny will take. This project has been in development for a few years, with Shawn Levy set to direct back in 2014, before he parted ways with the adaptation in 2015. 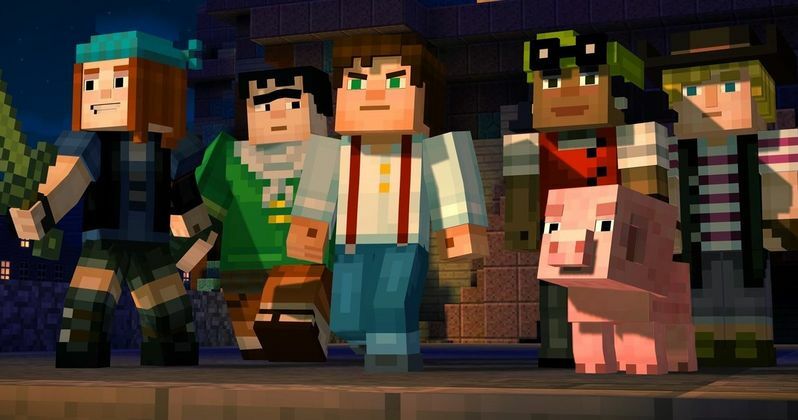 The filmmaker explained last year that his vision for the Minecraft adaptation was similar to The Goonies, although Mojang didn't see eye-to-eye with this vision, leading to Shawn Levy leaving the project. Rob McElhenny has previously said he wants to do something "strange and wonderful" with Minecraft, so we'll have to wait and see what he comes up with. Minecraft was created in 2009, and is currently one of the most popular open world games, with over 100 million registered users for the online game at Minecraft.net. The XBox 360 version has also sold over 10 million units. The game allows users to use bricks to build massive walls to protect them from the evil creatures in a realm known as The Nether. Roy Lee and Jill Messick are set to produce Minecraft, which will go up against the LEGO spinoff The Billion Brick Race on May 24, 2019. Stay tuned for more on Minecraft as more details emerge.